Um. Hi. Hi, there. Did you, by chance, hear that Meagan Spooner is doing a Robin Hood retelling and that this is its cover?! I had to take a few deep breaths to let my heart slow down before I could even string words together. After the note-perfectness that was Hunted last year, I struggle to contain my glee at the thought of what we have in store when she turns her hand to Robin Hood. As you know, I have feelings and opinions when it comes to this tale. And exactly none of them are mild. You likely know the usual suspects that make up my beloved versions. So try, if you will, to approximate the expression on my face when I read this will be a gender-bent take, in which Marian dons the hood, in which the first line of the blurb is "Robin of Locksley is dead." I feel like someone may need to start giving me oxygen at any moment. 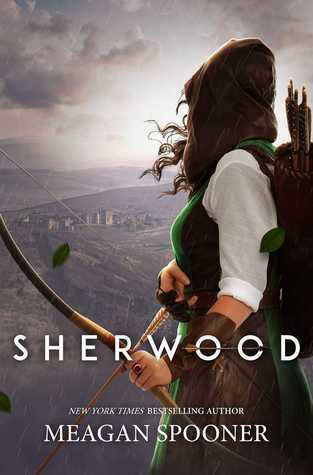 Certainly, long before this Sherwood is out March 19, 2019. Challenge accepted, Ms. Spooner. Take my money.